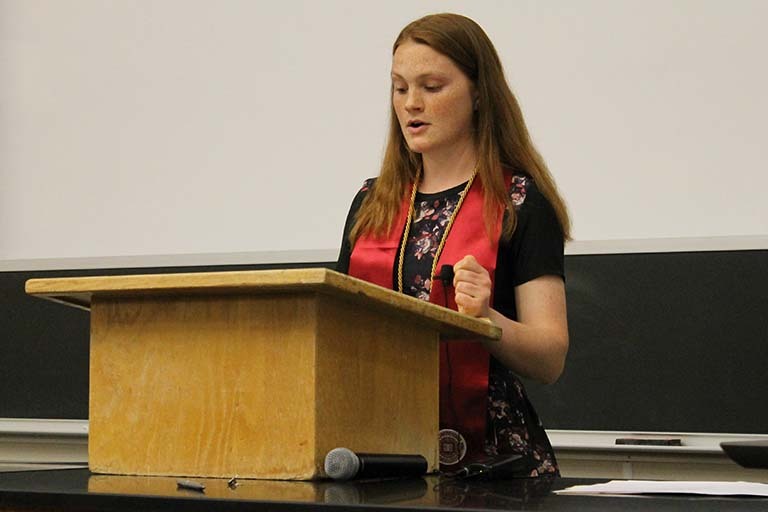 “We live in a microbial world, and it’s pretty awesome,” Madeline Danforth told those attending Biology’s 2018 undergraduate graduation ceremony on May 5. Madeline—the featured student speaker—graduated with a B.S. in microbiology with departmental honors, a B.A. in Spanish with a concentration in Spanish literature, and a minor in Chemistry. She is recipient of IU’s 2018 Herman B Wells Senior Recognition Award. Madeline remembers from childhood being wonderstruck by pictures of bacteria, infections, and diseases in her mother’s microbiology book from nursing school. 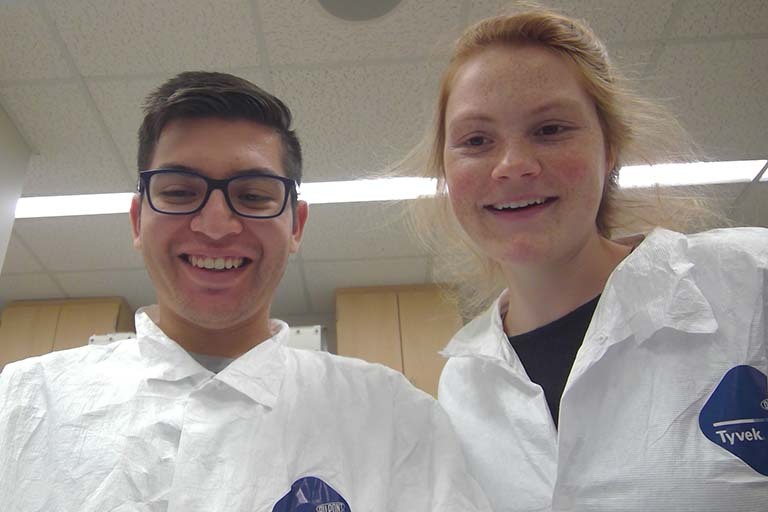 Madeline admits she initially chose to study microbiology because she “wanted to be a doctor, doctors cure disease, and disease is caused by microbes.” But, Madeline realized quickly that this was an all too simplistic view of microbiology. The microbial world we live in is much more complex and much more remarkable than that. 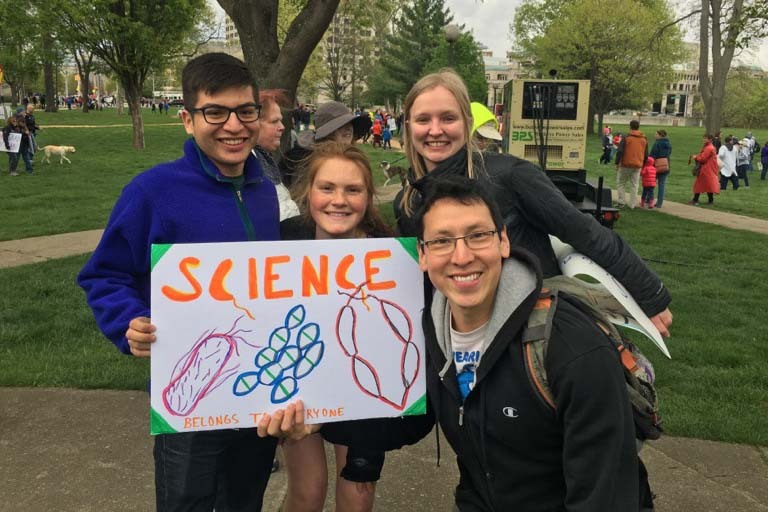 Her fascination with microorganisms, or microbes, blossomed during her undergraduate studies at IU. Madeline’s education has changed her perspective in many ways. She has learned that gaining knowledge is not meant to be simple, nor is it meant to be accomplished quickly. Scientific inquiry requires creativity, dedication, and an immense appreciation for the complexity of the processes studied. Her education has also impacted her lifestyle. Madeline has also been passionate about improving and practicing her Spanish in order to eventually serve the U.S. Spanish-speaking population as a physician. Through the IES Summer Health Studies Program, she spent a summer in Santiago, Chile—studying the country’s healthcare system and observing clinical operations. Her experiences in Chile motivated her to become involved with the international community in Bloomington. 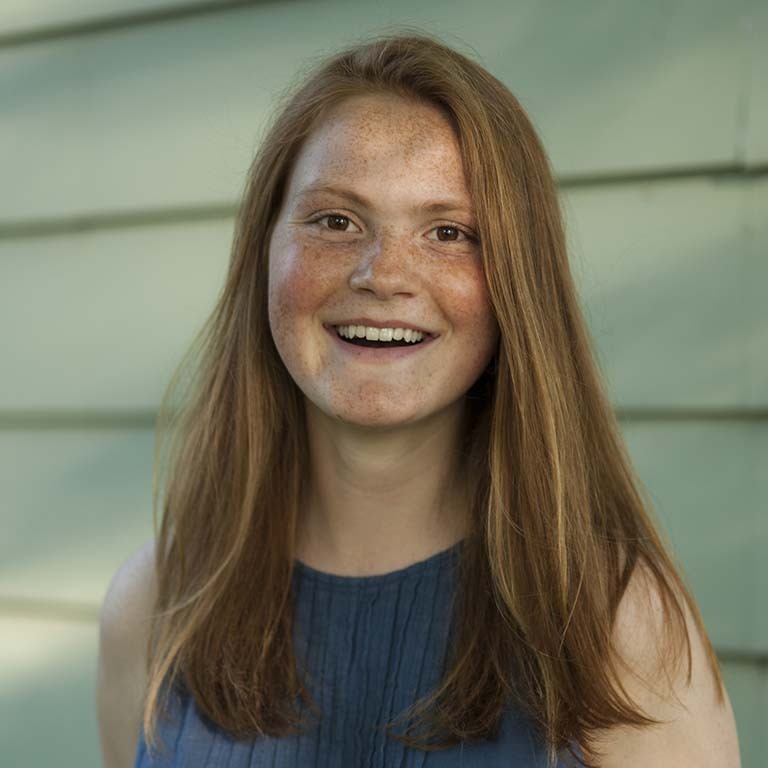 Through VITAL (Volunteers in Tutoring Adult Learners) at the local library, Madeline served as an ENL (English as a New Language) conversation group leader and an ENL tutor for Spanish speakers. She recently co-taught an English class for Spanish speakers at Bloomington’s free clinic, Volunteers in Medicine. Madeline has experienced firsthand how questions about immigration and citizenship manifest themselves in someone’s life. Through VITAL, she had the opportunity to tutor one Spanish-speaker for the U.S. Citizenship exam, who passed her citizenship test in March. Madeline was able to attend her friend and new citizen’s naturalization ceremony in April—in the same building where Madeline saw her mother become a naturalized citizen when she was a child. Madeline will spend next year in Mexico as a Fulbright scholar, where she will partake in cultural and educational exchange as an English teaching assistant. While in Mexico, she hopes to gain a deeper understanding of Mexican culture and the Spanish language. Afterwards, Madeline will attend Washington University School of Medicine in St. Louis to pursue her M.D.